"My family and I were blessed to be part of the Taylors Island Community for several years in the mid-70's. It was my dad's last duty station for the USCG before his retirement in 1974. Now age 87 he (and all of us) still talk about the wonderful times there. 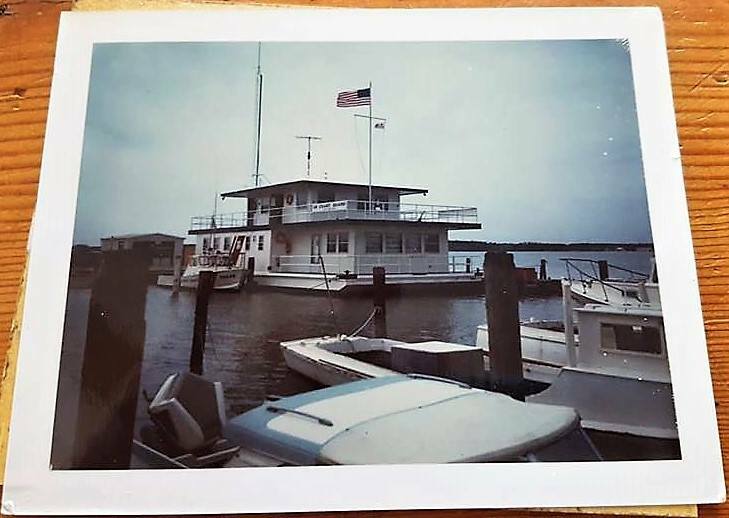 Here's a Polaroid (remember those) of the houseboat that served as the USCG Station Taylors Island taken as we left it it for the last time."